Dad turned 58 last Sunday and what better way to celebrate than with a cake from my favourite bakery depot! Stop rolling your eyes! I can see you… I know what you’re thinking. haha. It was indeed a good excuse to buy an entire cake from Cedele. 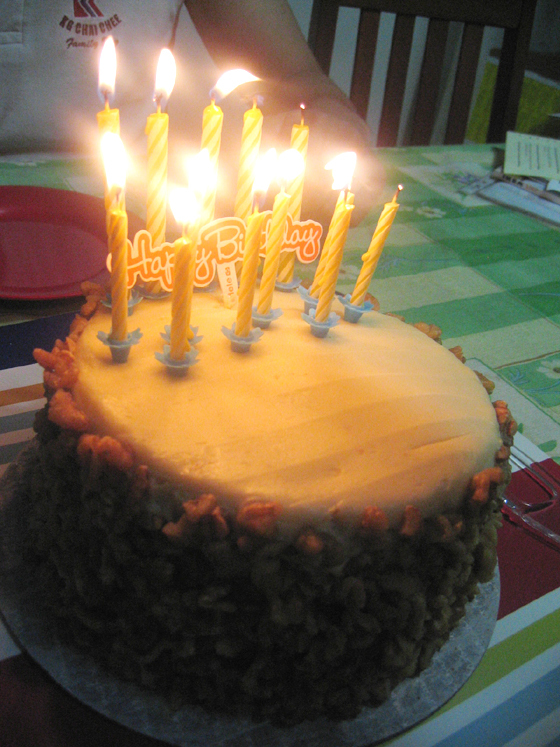 Bro and I thought it’ll be a nice gesture + I convinced him that the cake was delish! Since I’ve been eating so much of their chocolate cakes, I told my bro to get the Carrot Walnut Cake. At $48, it was fairly reasonable, seeing how big the cake was! Everyone loved it. I think Dad liked it. Well he doesn’t have much of a sweet tooth but he did have a slice! I totally dig the walnuts by the side. 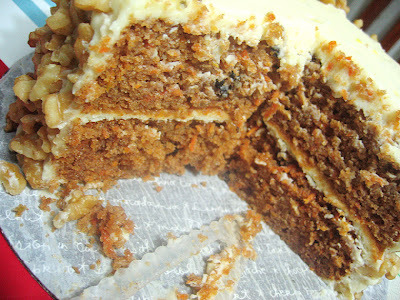 This is by far my most favourite carrot cake. I don’t think I’ve tasted any better. 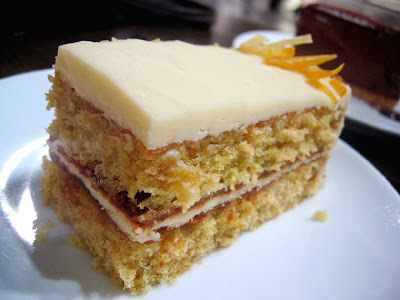 Speaking of cakes, I’ve also tried this other cake place at Katong but that’s for another post. Today, it’s all about Dad’s Cedele Birthday Cake! Thank you Cedele for baking such glorious cakes. 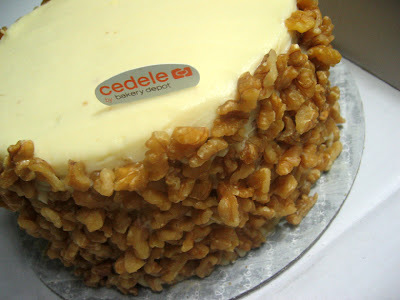 I know for sure, that my birthday cake will be a Cedele too. Or.. hahaha, anyone thinking what cake to get me for my birthday (coming soon. hahahaha :p) can get me a Cedele! Gosh, how thick can my skin get? Nah, I’m simply kidding. I might be baking my own cake this year. Speaking of which, Cocoa & Butterscotch has something up our sleeves to celebrate our birthdays, but that’s under wraps, for now! Till next time, have a rocking yummy day ya’ll! Just a while ago, I posted about Cedele Depot’s cakes and raved about them like mad. I was sorry I didn’t have pictures the other time and now, each time I visit them, I make it a point to snap some shots and as promised, here are the cakes, in all their glory. Now you know why I think they have substance. 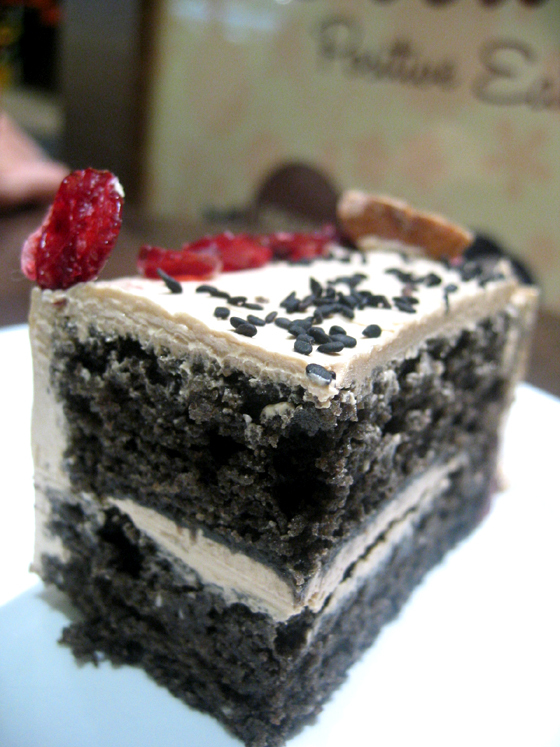 Seriously, if I could really choose any place to have cakes all my life, I’d definitely pick Cedele! 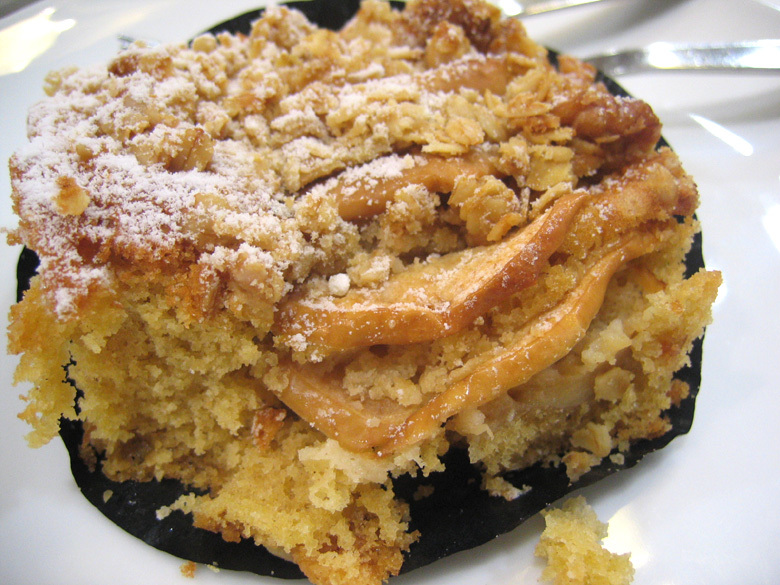 Yesterday I had their Apple Oat Cake (pictured above) and it tasted great with coffee. It did help that it was healthy – not sweet at all. My favourite part was the apple slices and the oat & walnut streusel on top. Crunchy and tasty, I love. Seems like I cannot run away from Cedele. I have to go pass their shop everytime I’m near one. It’s become so much of a habit that most of the time I do end up buying something. 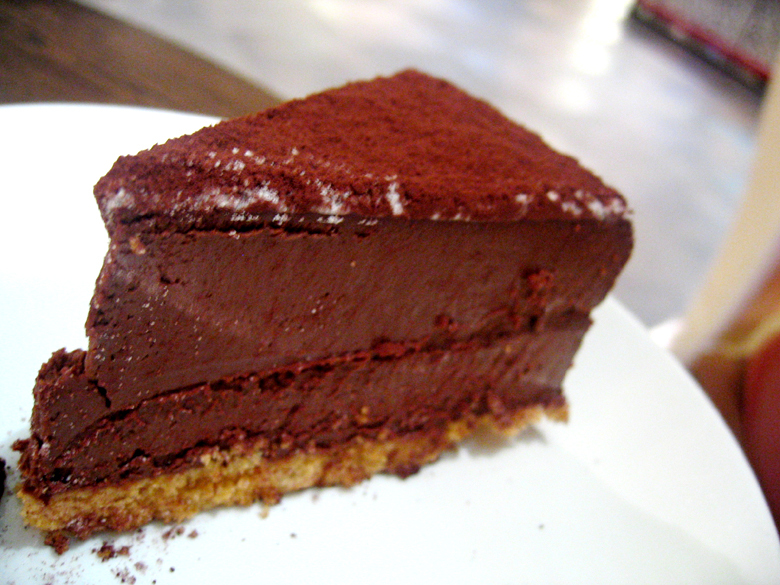 Like this Chocolate Truffle Cake. Super rich and super divine, this cake rocks my socks but I can’t eat it all by myself. Have to share, unless I use it to replace a meal. Orange and Apricot cake. Love this one. 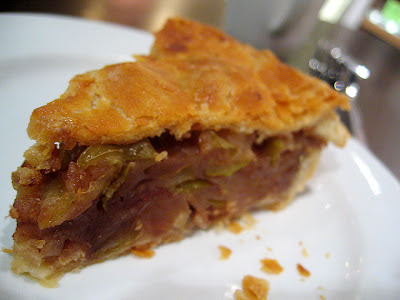 You can actually taste both in a slice! See, they do mean what they say and say what they mean these Cedele peeps. I do hear sounds of unison from Cedele fans!